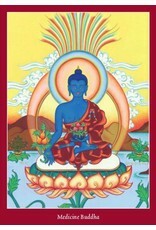 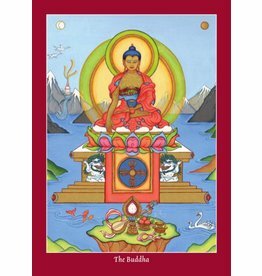 Medicine Buddha - The Healing Master of Lapis Lazuli Radiance. 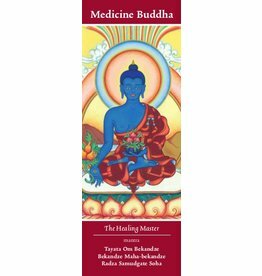 The Medicine Buddha is the embodiment of all the Buddha's healing qualities, associated with healing both physical and mental suffering. 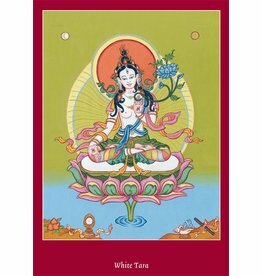 In his left hand he holds a begging bowl filled with medicinal nectar and fruit symbolising his power to conquer diseases and delusions. 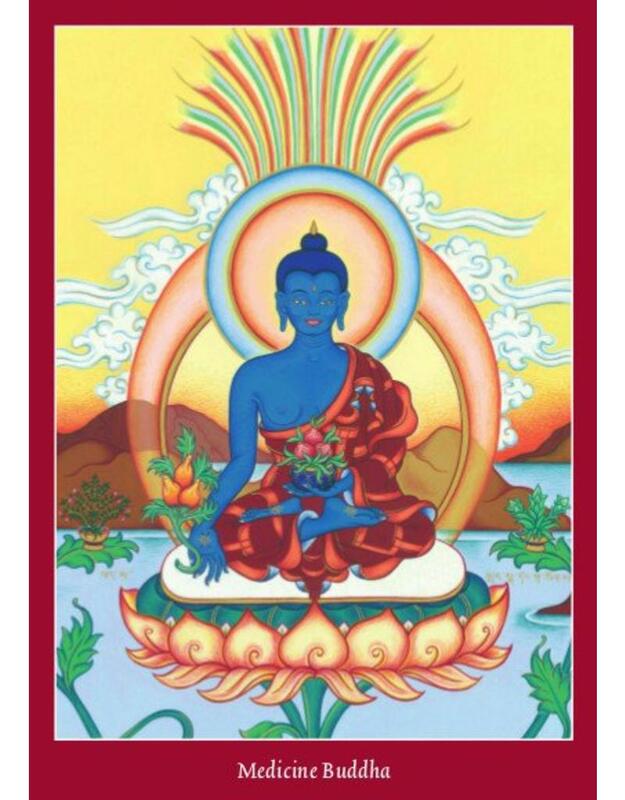 In his right hand he holds the myrobalan plant (the 'King of medicines') known for its effectiveness in treating both mental and physical illnesses. 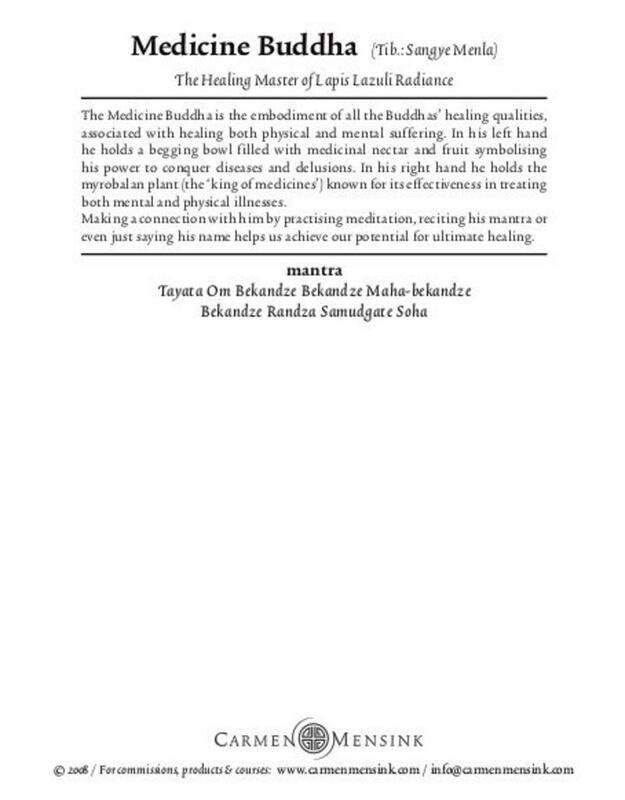 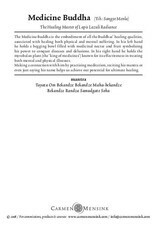 Making a connection with him by practising meditation, reciting his mantra or even just saying his name helps us achieve our potential for ultimate healing. 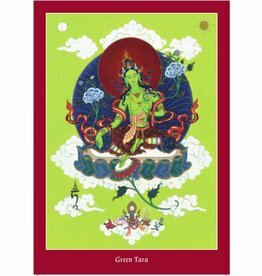 Deze kaart is een uitgave van Tibetan Buddhist Art - Copyright: © Carmen Mensink.